Sibylle was born on 6 January 1943 in Silesian Wroclaw. At the end of the Second World War, she fled with her family to live in western Germany, growing up in the town of Giessen. After her graduation in sociology at the Free University of Berlin in 1969, she began her research career at the Max Planck Institute for Educational Research, also in Berlin. After a short sojourn in Canada, she moved to work at the German Youth Institute in Munich, where she came to head the youth and politics unit, and then – until her retirement in 2006 – she coordinated the Institute’s international research affairs. She had completed her doctorate in 1987, once again at the FU Berlin, and in 1996 she qualified for the professoriate (Habilitation and venia legendi) at the University of Paderborn with a socio-historical study of how those born under National Socialism grew up to build democracy in the post-war Federal Republic of Germany. In the mid-1990s she also spent two years at Paderborn and Hamburg for spells in university teaching and research. A school exchange in France and six months as an au pair in England were the starting-points for Sybille’s lifelong fascination with the diversity and richness of languages and cultures. This was the initial impetus for her active involvement in international professional communities, at the heart of which lay the International Sociological Association. At the 1974 ISA World Congress in Toronto, Sybille was one of the co-founders of RC34 (Sociology of Youth). Over the following 15 years, RC34 made it a priority to support open lines of collegial communication and exchange across what was then called the ‘Iron Curtain’ between western Europe and central and eastern state socialist countries. 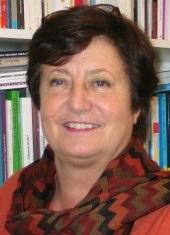 Sybille was a key figure for RC34 during this period of its history, becoming Vice-President for Western Europe (1986-1990); and then as President of RC 34 from 1990 to1994 her reward was to be in the driving-seat as the Committee gathered the harvest, with youth researchers from all over Europe at last being freely able to travel to meet and discuss their work whenever they wished. In the late 1980s, Sibylle had been nominated to the intergovernmental youth commission at the Council of Europe in Strasbourg, a voluntary professional association that actively contributed to strengthening European youth research over the decade that followed. Characteristically, it was Sybille that founded this network, brought the key actors together and, as Chairperson, steered its activities with verve.